What is the Best Power Supply for the Raspberry Pi 3? The Raspberry Pi 3 is a nice small hobby computer along with built-in WiFi and Bluetooth. All the extra components can make the Pi 3 more power hungry than its predecessors. The original A unit needed a 700mA supply. The requirements have slowly been moving up with each new release with the Pi 3 recommended to have a 2.5 Amp 5 Volt supply. In some cases lower amps can be used with the RasPi than what is recommended but sometimes can result in strange problems such as reboots. It realy comes down to what is being run, for example a media center running Kodi should have at least 2.5 amps. 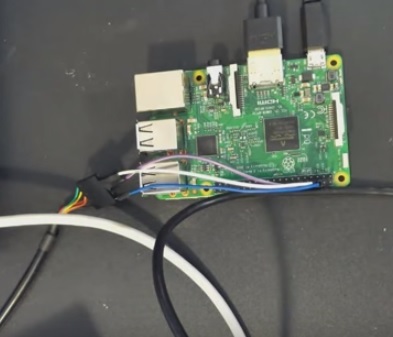 Many have opted to go as high as 3 amps with the Raspberry Pi 3 to help supply its requirements and run demanding software packages. USB peripherals also are a consideration. Most small USB devices such as a mouse, keyboard, or USB flash drive will not have any issues but external hard drives or any power hungry USB device can cause problems. If you want to run a USB device that needs a lot of amps to run than using a powered external USB hub is best and most common fix. Here is a Pi 3, 2.5 Amp 5 volt power supply from CanaKit on Amazon. The Pi 3 can be picky when it comes to power supplies. If system stability and performance are needed definitely stick with the basic requirements. Power supplies are cheap and can save a lot of headache when trying to find a problem with a package install. A keyboard and mouse will use 2 Amps when plugged in. Devices such as external hard drives and DVD players will need more. If you do plan on using a external drive that needs more amps using a USB hub is best. It is always a good to recycle old equipment but in the case of an older Pi power supply it may not be a good idea. Using a lesser amp unit will not damage the Pi and if necessary may work depending on what is planed to be run. I’m running into the same problem. I bought another power supply but am getting more lag now. The stock power supply was working really well but only recently started to lag. I guess I have to keep looking for power supplies….